ISIS shoots down regime aircraft near a key military airport, claims it captured the pilot. 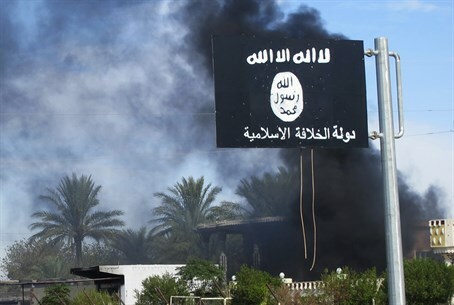 The Islamic State (ISIS) shot down a regime aircraft near a key military airport in southern Syria Friday, with pro-ISIS Twitter accounts saying the jihadist group had captured the pilot, AFP reports. The Syrian Observatory for Human Rights said that the plane went down east of Khalkhalah airport, the only air base in Sweida province, a stronghold of the Druze minority that has largely avoided the bloodshed of Syria's war. Observatory head Rami Abdel Rahman said the fate of any crew members remains unknown, but pro-ISIS accounts claimed the pilot had been captured. State television, citing a military official, said an aircraft "crashed due to technical problems while completing a training exercise" near Khalkhalah, and that the search for the pilot was ongoing. In its first major attack in Sweida, ISIS tried to storm the airport on April 11, but loyalist forces maintained control of it. Khalkhalah lies along a major highway between Damascus and the regime-held city of Sweida. Friday's incident was not the first time ISIS has successfully downed a military aircraft, noted AFP. In February, the group shot down a Jordanian warplane conducting airstrikes on Syria as part of the international anti-IS coalition. The warplane’s pilot, Maaz al-Kassasbeh, was captured and subsequently burned alive. Jordan responded by executing two jihadist prisoners it had held, and later launched airstrikes against dozens of ISIS targets.